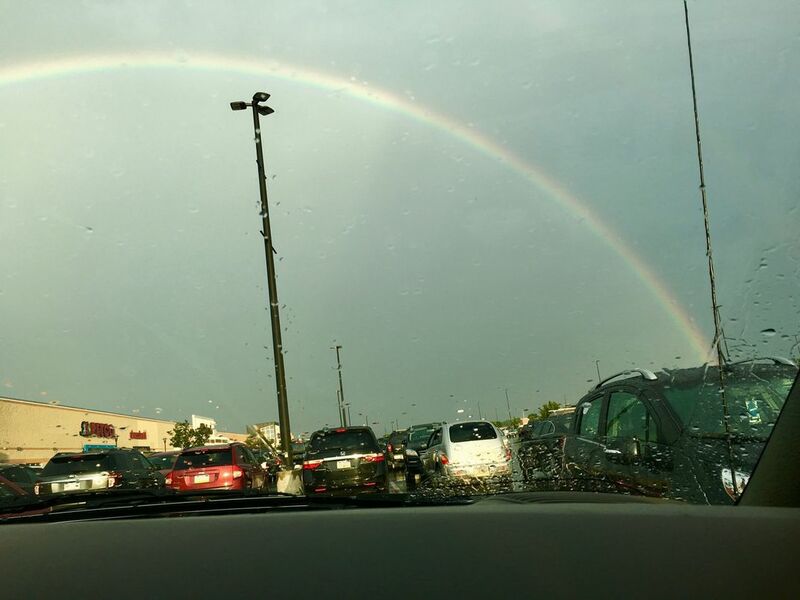 The photo shows a rainbow up against gray rainclouds. The picture also shows stores and cars in a regular old parking lot. I think it shows how ordinary everyday gloom can still be captured and perceived as pretty.